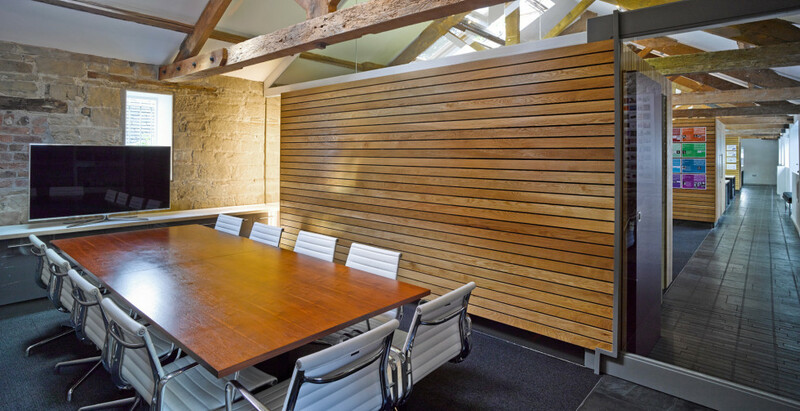 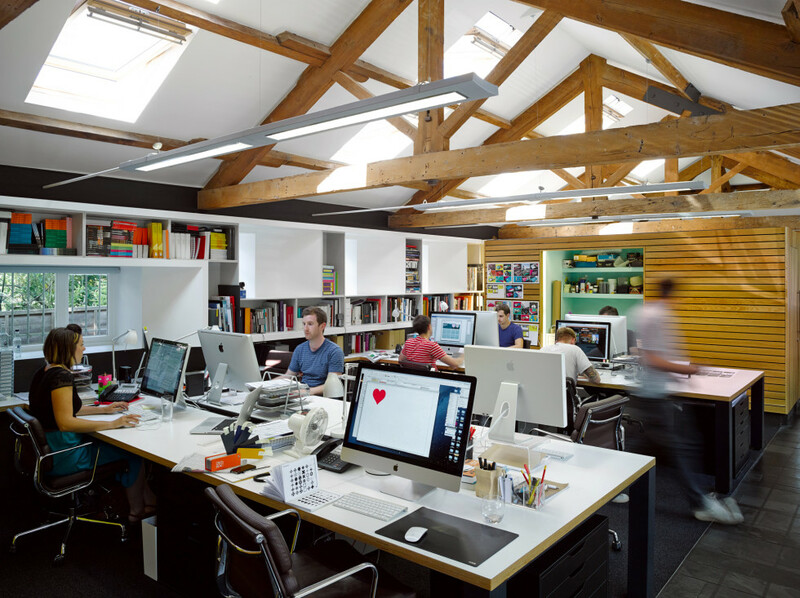 Thompson Brand Partners are based in a single storey building that used to be an old cow shed. 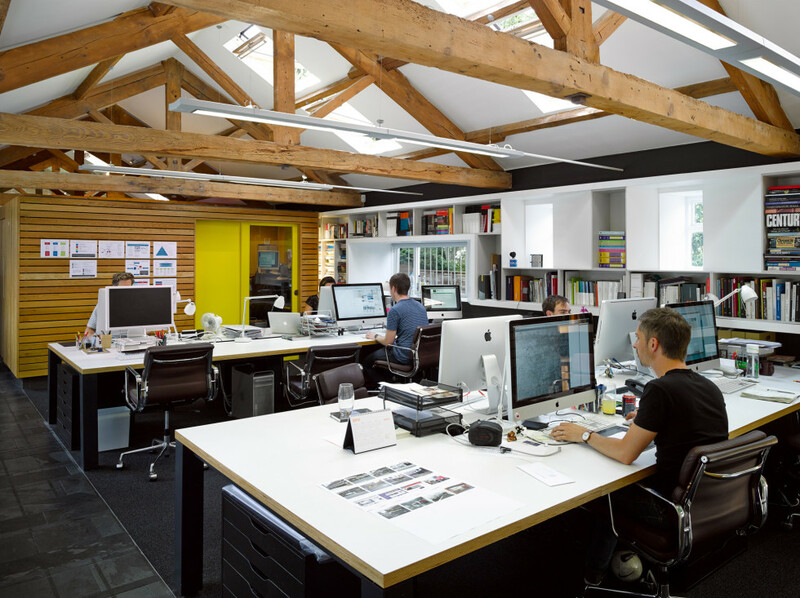 The interior was disjointed and claustrophobic with a series of low spaces strung along a linear building. 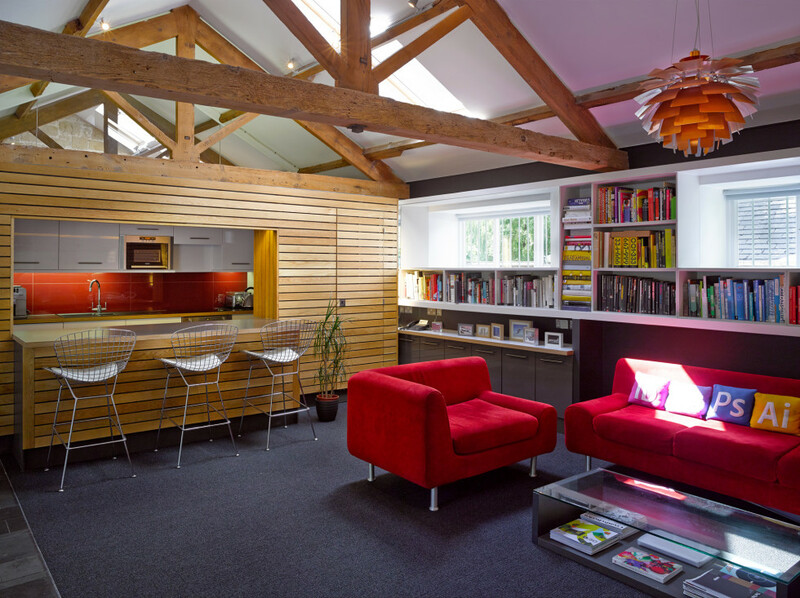 We worked closely with the client to open up the space to the roof and in plan. 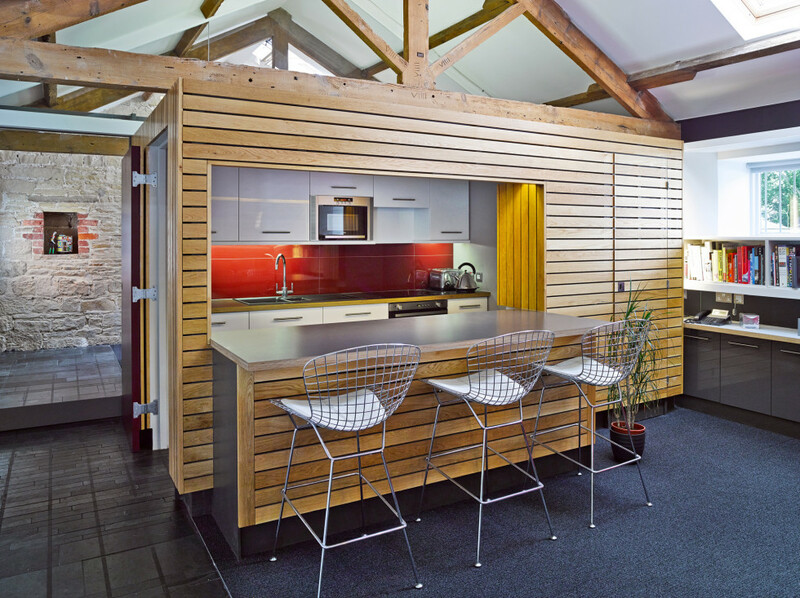 Three oak- clad free standing pods house the cellular functions and subdivide the space into 4 ‘rooms’ connected by an internal street creating definition and yet the feeling of an open plan office.